Loyalty verging on bhakti to a powerful master is a well-known springboard to fame. Many historical, mythological and literary figures owe their raison d'etre to their allegiance to a prominent figure. There would perhaps had been no legend of Hanuman without Rama, Meera without Krishna, Joseph Goebbels without Adolf Hitler, Man Friday without Robinson Crusoe and Sambha without Gabbar. Some people become legendary not because of who they are, but because who they serve with fidelity. Serendipitously, they happen to be with the right man at the right time. Often, to raise the profile of these acolytes, extraordinary powers are attributed to them, myths are woven around them and rare achievements are credited to their accounts. But, in the end, they remain inextricably linked to the subject of their devotion, their destiny perennially dependent on their master or the deity. Is BJP president Amit Shah destined for a similar fate? Even after completing a year as the BJP president and leading the party successfully in several electoral battles, is Shah condemned to be remembered merely as Narendra Modi's shadow? Realistic assessment of Shah is difficult. Primarily because his rise has coincided with the ascent of Modi. To separate his achievements from that of Modi's, to draw a line where the prime minister's sphere of influence ends and his begins, is impossible. It is often argued that Shah put Uttar Pradesh in Modi's basket by winning 70 seats. This, frankly, undermines Modi's clout, hard work and, in Uttar Pradesh's case, the brilliant ploy of contesting from Varanasi. 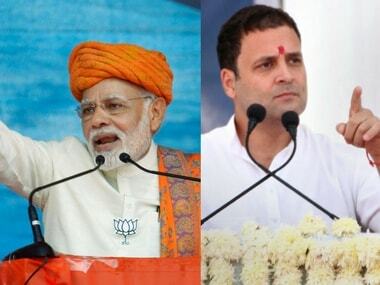 Results from the non-Shah states proved there was a Modi wave in north-western India. In Maharashtra, Gujarat, Rajasthan, Madhya Pradesh, Delhi and Haryana, the states around Uttar Pradesh, the BJP swept the polls. Did Shah's presence in Uttar Pradesh make any difference to the outcome, did he add to the Modi tsunami? 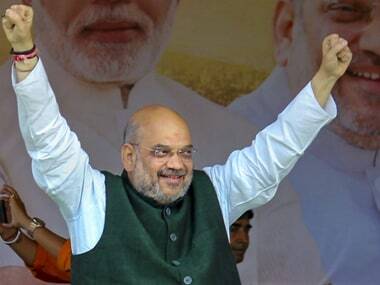 In a paean to Shah, right-wing website Niticentral quotes The Economist to argue "the alchemy of Mr Shah is to convert popularity into power… Imbalances between vote share and seats are normal in first-past-the-post electoral systems, but achieving victory in India takes more skill and stamina than elsewhere. Mr Shah makes minute analyses of millions-strong constituencies, imposing candidates and recruiting volunteers early." But most of Shah's famed electoral strategies of Panna Pramukhs, booth management, hand-picked candidates and volunteers, failed miserably in Delhi this year. He simply failed to get the BJP ticking when it became clear that Modi's magic is not working. Nothing he tried after the prime minister's failed rallies worked in the battle-field of Delhi, exposing him complete dependence on Modi. Others refer to the "phenomenal achievement" of making more than 11 crore Indians members of the BJP. India has around 85-crore potential voters. If Shah has indeed managed to recruit nearly 15 percent of our electorate as BJP workers, then there is very little to stop his dream of "three decades of BJP rule" from becoming a reality. Yes, Shah is hard working; he is very good at executing election strategies devised by Modi and his core team. 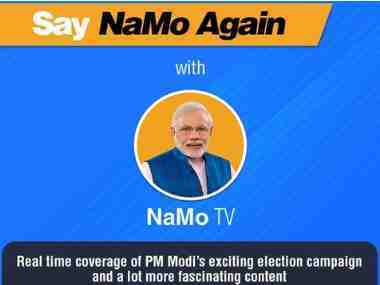 He has done exceedingly well to ensure Modi's magic is not frittered away in elections in Haryana, Jharkhand and Maharashtra. Also, earning the trust and confidence of a hard task master like Modi is in itself a great achievement. But, could Shah have made it big in the BJP without Modi? , In my opinion, there is always an element of hyperbole around Shah. The narrative around him is often over the top, full of exaggeration and hype. All of it has served just one purpose: of facilitating the rise of Modi's trusted lieutenant as the BJP's top man. In reality, Shah is just a proxy for Modi, the man who diligently follows Modi's strategies and diktats; and shields him from failure and allegations (It is an ode to Shah's loyalty that he faced most of the heat in the Ishrat Jahan, Sohrabuddin, Tulsiram encounters and the alleged snoopgate when these cases could have singed the Gujarat government and its head). He is both a creation and reflection of Modi. Soon, there will be elections in Bihar; West Bengal and Uttar Pradesh are next. 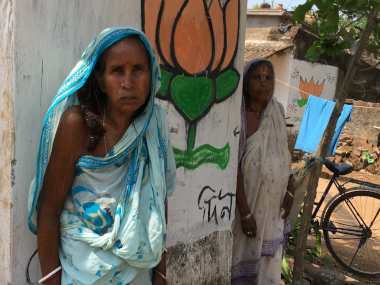 Within the BJP, there is a lot of noise about Bihar being Shah's litmus test. His rivals are optimistic of scalping him if the BJP fails to do well in these elections. There is speculation that the RSS will try to replace Shah with its eternal favourite Rajnath Singh after the next round of elections. But, election results are unlikely to impact Shah's fortunes much. How long he stays as the BJP chief would depend not on his failures or achievements but on his ability to remain what he is: his master's voice. As long as Modi remains the arbiter of BJP's destiny, Shah's fate is secure. 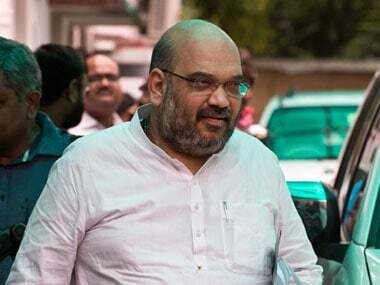 1Amit Shah's one year as BJP boss: Will he ever come out of Narendra Modi's shadow?